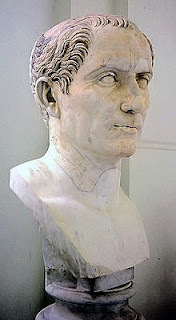 PEPLUM TV: Julius Caesar: why so difficult to cast? Why is Julius Caesar so difficult to cast? Here's a partial list of mostly miscast actors. 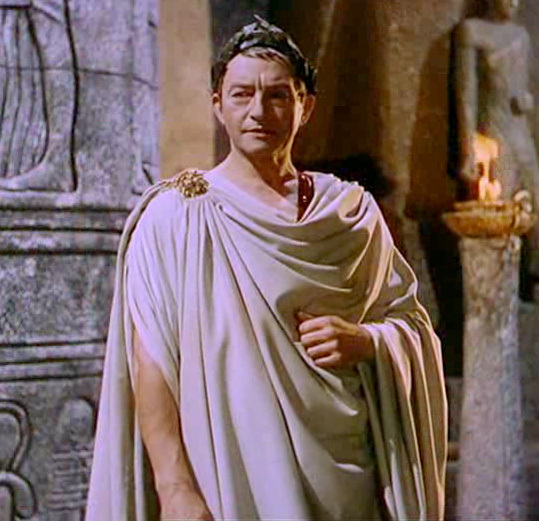 The very short Claude Rains played Julius Caesar in CAESAR & CLEOPATRA (1945). I love this film. Very underrated and overlooked. Even so...as good as Rains is I recognize that he was totally miscast. Rains is such a good actor that even when he's miscast he's still fun in that role. While the very tall Louis Calhern played Caesar in JULIUS CAESAR (1953). Excellent actor but not my favorite by any means. 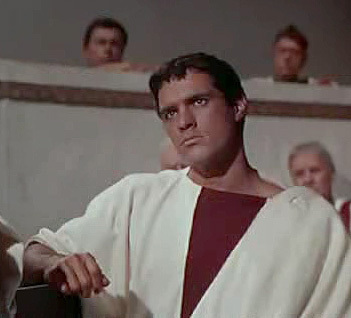 John Gavin as Julius Caesar in SPARTACUS (1960) was an interesting choice but alas his character had minimal screen time and Gavin, good looking as he was, wasn't the best of actors. Gustavo Rojo was Caesar in JULIUS CAESAR AGAINST THE PIRATES (1962). As miscast as he was, he gave such a good performance that in the end it didn't matter. 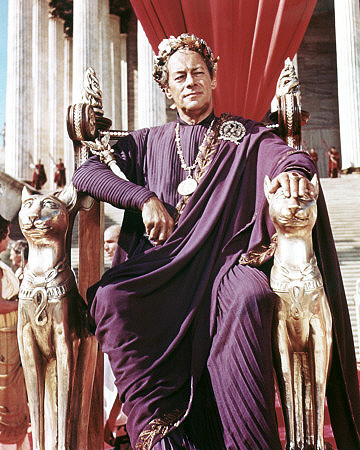 Rex Harrison in CLEOPATRA (1963). Regal, yes, but his Caesar had very little gruff. Steve Reeves and Ivo Garrani in SON OF SPARTACUS (1962). Garrani is a good actor but, like so many others, miscast as Caesar. 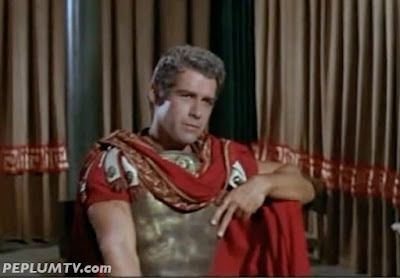 Gordon Scott played Caesar in A QUEEN FOR CAESAR (1962). I like Gordon but no, not as Caesar. His role was more a cameo than anything else. Cameron Mitchell in CAESAR THE CONQUEROR (1962). 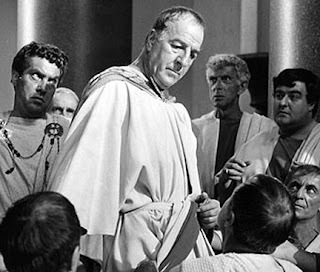 Of all the miscast actors, he's the one who sorta comes closest to Caesar but his portrayal was too calm or poised. 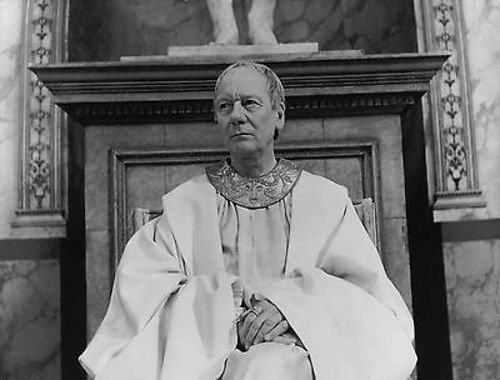 John Gielgud as an old Caesar in JULIUS CAESAR (1970). Gielgud is a great actor and he can hardly do any role wrong but I can't see him as Caesar. 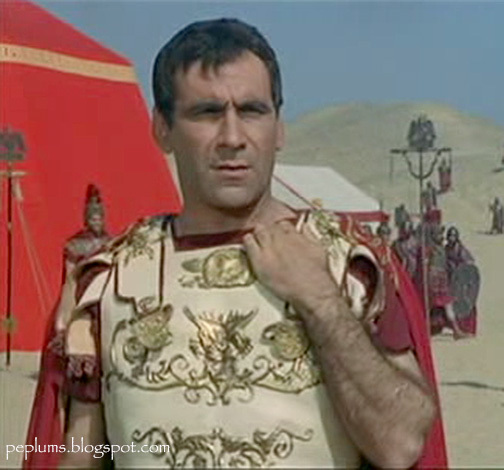 ...here's Alberto Lupo as Octavian in SON OF CLEOPATRA (1964). Lupo never played Caesar but if I had my way Lupo would have been my ONLY choice to play the famous emperor. An excellent actor who always gave sharp performances, always gave the impression that he was in control of everything and was very gruff while still looking intelligent, not barbaric or simple. Kieran Hinds from Rome the HBO series. Aside from having a full head of hair, I thought he played the part well. I think Timothy Dalton did a pretty decent job in the Hallmark miniseries "Cleopatra".